Ready for part 2 of the Fall 2017 One Room Challenge? Yesterday I shared my plan for my Modern Rustic Glam Shared Girls Bedroom and now I’m back to share my plan for my 2nd space. 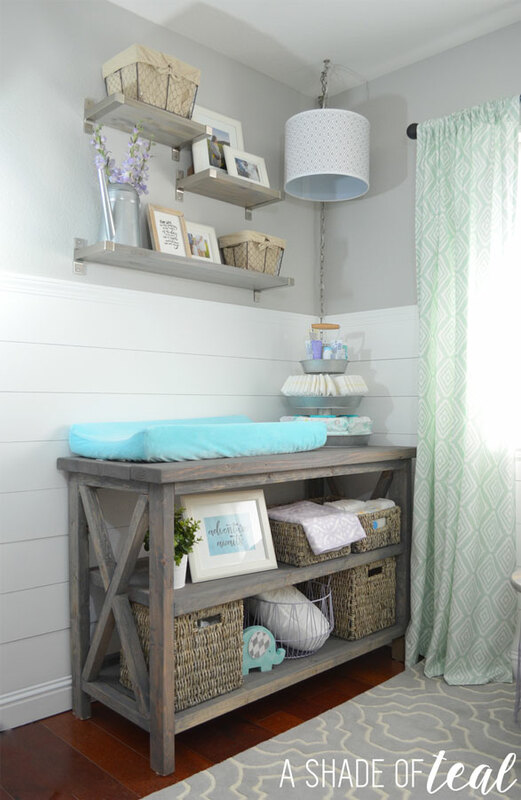 That space will be a new Rustic Industrial Baby Boy Nursery! As I mentioned in yesterdays post, we’re expecting baby #3 and it’s a BOY! You might remember I previously did my Nursery for my youngest daughter (HERE) but now we need to make room for our new addition so I have to re-do the space. I’m honestly a little sad to even be touching this space, it was one if my favorite rooms. But, the excitement of making it ready for our baby boy is making it a little easier. Again I plan to do a lot of rearranging and re-purposing. For my theme I’m really exited to make it a “Rustic Industrial” style. I’m envisioning it to be a little modern farmhouse meets industrial. 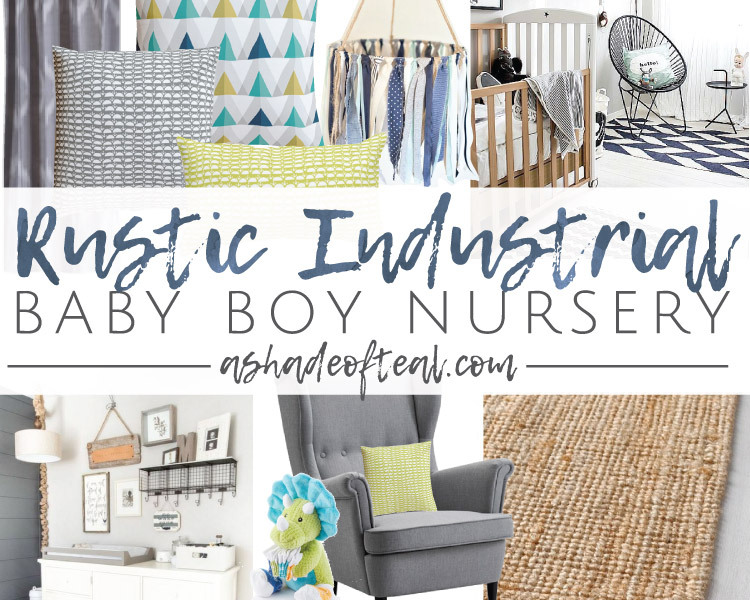 This Rustic Industrial Baby Boy Nursery will take over my youngest daughters existing nursery. Here is what it currently looks like, and you can see all about how it got that way HERE. Like my other space, there really doesn’t seem like much to-do. But, with 2 spaces to complete, I know it will take time pulling it all together. The other big challenge is that my daughter is still in her crib since shes only 15 months, so she’ll still be using this room until the new baby comes in January. As I mentioned above it will be a Rustic Industrial style. You’ll have to stay tuned next week to see my inspiration, but here’s a little sneak peek! 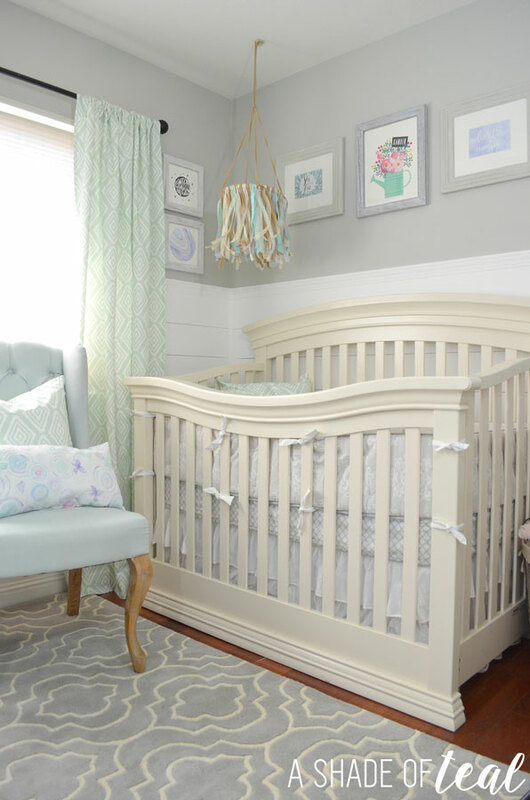 I’m jealous – I wish changing out our ceiling fan / light fixture were an option for our nursery! Can’t wait to see what you do.